Grand Cayman Boat Tours has daily tours to the world famous Stingray City and also coral reefs. In addition we Visit Starfish point and also the coral reefs in the area. Grand Cayman Boat Tours has daily tours to the world famous Stingray City and also coral reefs in Grand Cayman each day. We depart the Cayman Islands Yacht club early to head over to Stingray City with our main tour company Cayman Six Senses. Most of all come and enjoy a few hours or a half day on the crystal clear waters of the Cayman Islands. Come and join us for a great day boating and also visiting the beautiful sites of the Cayman Islands. Also ask us about Starfish Point and Rum Point. Rather than drive over, come and enjoy a boat trip, while relaxing in the Cayman sun. And today, Stingray City is a readily accessible also a once-in-a-lifetime Grand Cayman experience for anyone who wishes to see one of nature’s most majestic creatures up close. 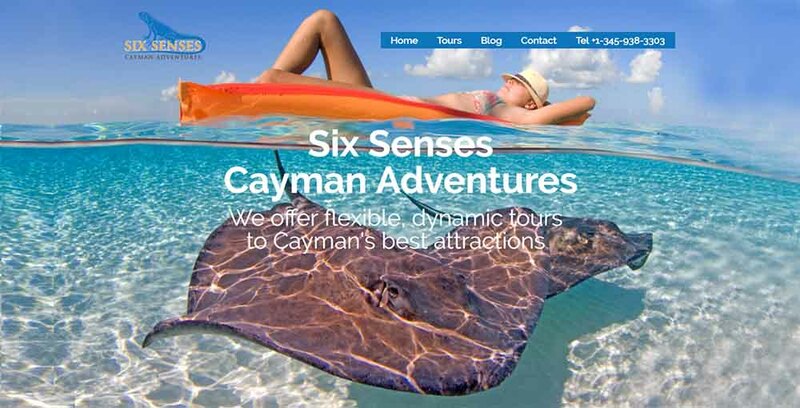 Click the image below to visit our parent company, Cayman Six Senses for more information and also bookings.